Today my guest on the podcast is Jared P Scott. Director of the documentary film THE AGE OF CONSEQUENCES. The Hurt Locker meets An Inconvenient Truth, THE AGE OF CONSEQUENCES investigates the impacts of climate change, resource scarcity, migration, and conflict through the lens of US national security and global stability. Whether a long-term vulnerability or sudden shock, the film unpacks how water and food shortages, extreme weather, drought, and sea-level rise function as accelerants of instability and catalysts for conflict. Left unchecked, these threats and risks will continue to grow in scale and frequency, with grave implications for peace and security in the 21st century. military veterans take us beyond the headlines of the European refugee crisis, the conflict in Syria, the social unrest of the Arab Spring, the rise of radicalized groups like ISIS, and lay bare how climate change stressors interact with societal tensions, sparking conflict. Whether a long-term vulnerability or sudden shock, the film unpacks how water and food shortages, extreme weather, drought, and sea-level rise function as 'accelerants of instability' and 'catalysts for conflict' in volatile regions of the world. These Pentagon insiders make the compelling case that if we go on with business as usual, the consequences of climate change - waves of refugees, failed states, terrorism - will continue to grow in scale and frequency, with grave implications for peace and security in the 21st century. The film's unnerving assessment is by no means reason for fatalism - but instead a call to action to rethink how we use and produce energy. In any military defense strategy, time is the most precious resource. 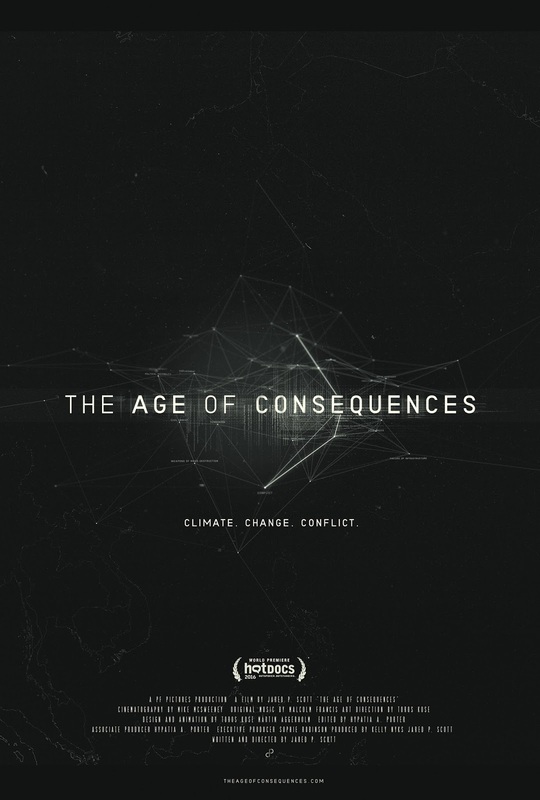 THE AGE OF CONSEQUENCES is in theaters now. Check the film's website for showtimes.